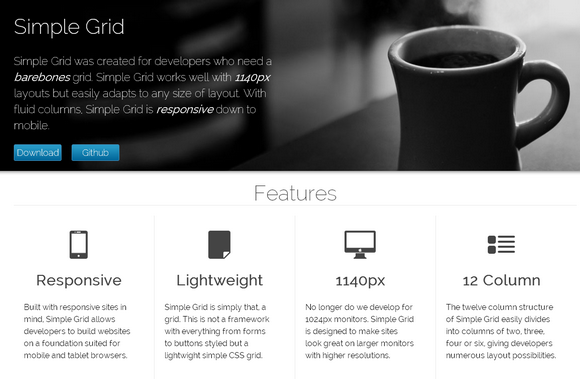 Simple Grid was created for developers who need a barebones grid. Simple Grid works well with 1140px layouts but easily adapts to any size of layout. With fluid columns, Simple Grid is responsive down to mobile. The twelve column structure of Simple Grid easily divides into columns of two, three, four or six, giving developers numerous layout possibilities.